A prominent banker in the Island has announced plans to run for national political office. Bill Shimmins has declared he will stand in Middle constituency in September's House of Keys general election - a decision he says was made from a 'passion' for social and economic prosperity. Marown commissioner and education specialist Paul Craine announced his intention to stand in the constituency earlier this month. 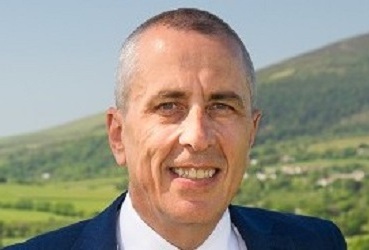 Mr Shimmins has been managing director at Isle of Man Bank for five years, and has more than three decades' industry experience. The Glen Vine resident says he'll take a 'decisive and responsive' approach to pressing challenging political issues.